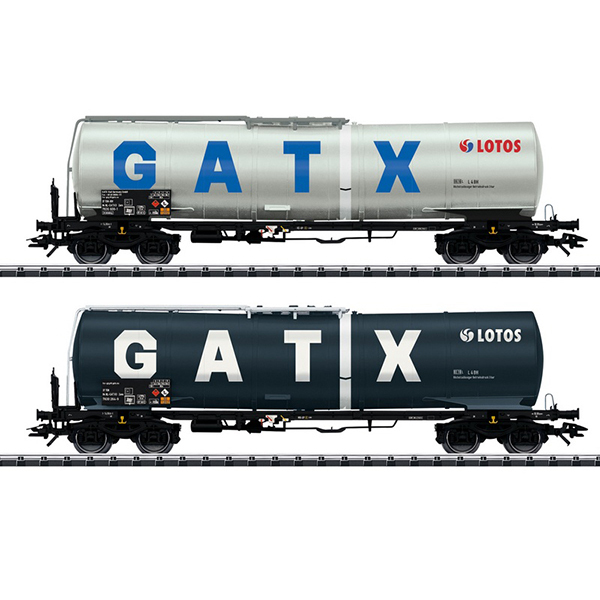 Prototype: Two (2) GATX NL 4-axle tank cars in different paint schemes. Leased to Lotos in Poland. Cars include uninsulated tanks and ladders at the end. Type "Zans". Model: The cars have detailed partially open frames. The trucks are type Y 25 welded units. The cars have separately applied details. The cars are individually packaged. Length over the buffers per car 18.0 cm / 7-1/8". DC wheelset E700580. Cars include different car numbers. Tubs include different tub numbers.